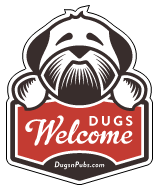 Dog Friendly Pubs, Shops, Cafes and Accommodation in Inverness and Loch Ness in the Highlands in Scotland. The Clachnaharry always provides a warm welcome and friendly atmosphere with an emphasis on good local home made food, real ales, malts and spirits in a relaxed friendly environment. A one bedroom luxury holiday cottage on the Caledonian Canal in Inverness with views across the Moray Firth. Dogs stay for free at Otter Cottage and are also welcome at the Clachnaharry Inn which is just a 3 minute walk away. The pub serves great food and its quiz night on a Wednesday is legendary. There are a total of 25 dog friendly listings in the Inverness category. Please log in, or sign up as a member to view all listings.